You are here: Home / Newsletter / What proof exists that owning is financially better than renting? * Homeownership is a form of forced savings. * Homeownership provides tax savings. * Homeownership allows you to lock in your monthly housing cost. * Buying a home is cheaper than renting. * No other investment lets you live inside of it. Studies have shown that a homeowner?s net worth is 44x greater than that of a renter’s on average. 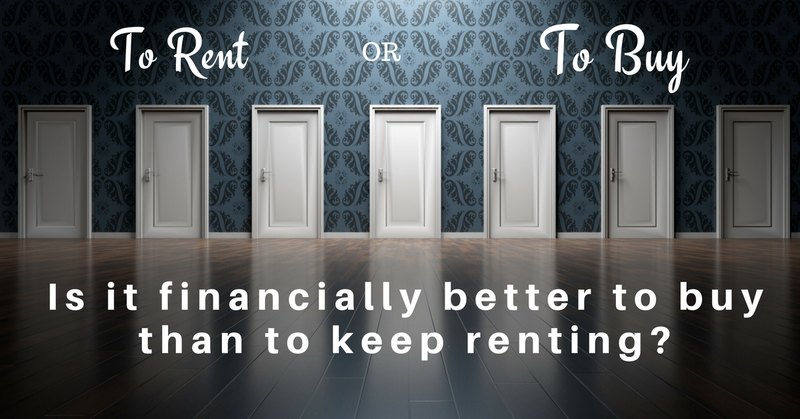 Some argue that renting eliminates the cost of taxes and home repairs, but every potential renter must realize that all the expenses the landlord incurs are already baked into the rent payment? along with a profit margin!! Bottom Line – Owning a home has always been, and will always be, better from a financial standpoint than renting. ?Find out how to get pre-qualified to start searching for a home today!